Morzine is certainly the place to be this summer with a catalogue of fabulous mountain activities and special events to wet your appetite. 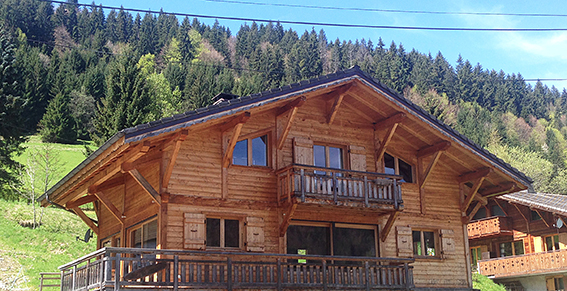 Our summer chalet Morzine is now available to book and enjoy some of the Morzine summer fun or just kick back, relax and marvel at the spectacular scenery. Typical fun activities and popular pastimes in the mountains include downhill mountain biking, white water rafting, beautiful walking trails, swimming in lake Montriond, high ropes courses to name but a few….. And if that’s not enough, this year Morzine is proudly hosting the final decent of stage 20 of the Tour de France from Megeve to Morzine… what’s more, our chalet Le Mousseron is situated right inside one of the hairpin bends on the final decent in to Morzine. The perfect spot to see the athletes complete the stage descending the Col de Joue Plein road. The riders will literally ride past the back windows of the chalet, round the bend then ride past the front windows, the perfect ring side spot! Fancy giving the route a go? well why not? the etape de tour will take place before the actual event where you can cycle the very same route. Summer Candy will happily provide a transport service with your bikes to Megeve, if you want to participate. Other events this summer include the Passports du Soleil and the popular Harley Davidson gathering with impressive polished works of engineering art as far as the eye can see. A fun filled, action packed summer is on the cards here in Morzine this year with plenty to see and do for all the family.